Rennes-le-Chateau is a village to the south of Carcassonne in the Aude department (Languedoc Roussillon region). It is an attractive little village reached after a fairly steep climb in the car and giving some splendid views of the surrounding countryside from its position on the top of a hill. It is the links that the village has with the holy grail that attract many of the visitors to Rennes-le-Chateau. 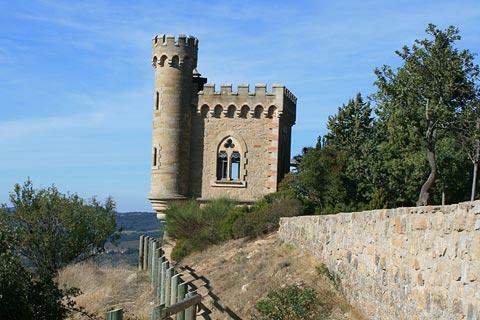 On arriving at Rennes-le-Chateau, at the top of the village you can see the Tour Magdala, a small, castle-like tower which hangs out over the views of the valley below. This was built by a priest called Berenger Saunière as a library which he said was to be used for retiring priests. 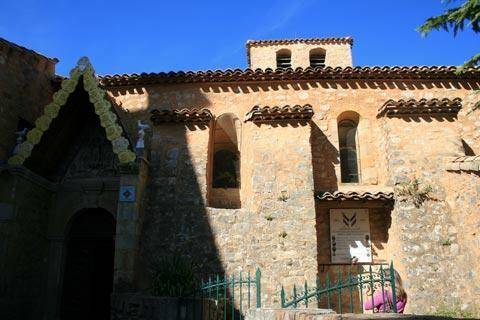 A little further down in the village is the Church of Mary Magdalene. 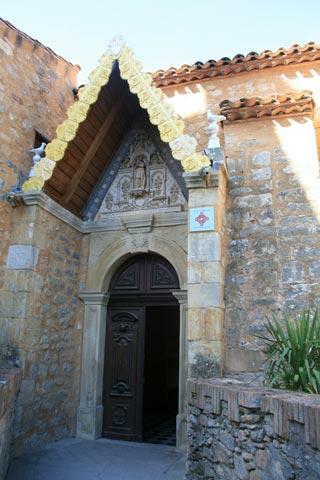 The church was renovated in the late 1800s, also by Berenger Sauniere. It has some unusual features such as a figure of the devil holding the holy water stoup above the doorway. Another popular historical monument with visitors to Rennes-le-Chateau is the Villa Béthania, the house built by the same Abbot Saunière. 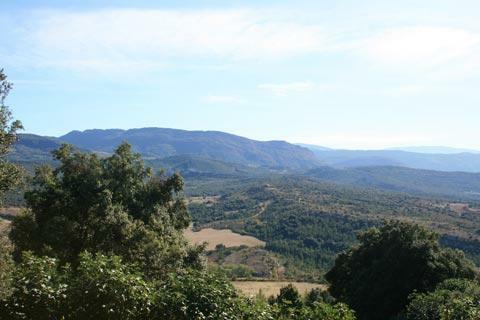 The views from the tower and out across the valley are very impressive, and the village has a history dating back to both prehistoric and roman occupations...but it is not these that attract the crowds. Rennes-le-Chateau attracts visitors because of various conspiracies and theories that give the village an important role in various plots throughout the ages, essentially based on the possibility that Jesus and Mary might have stayed here and established a family after being exiled here. The story gathered momentum in the 19th century, when the village priest, Berenger Sauniere, reputedly found treasure or other evidence for this family line descended from Jesus. The popular book by Dan Brown, the Da Vinci Code, has further revived interest in the village and it is now possible to take a guided tour of the tower, church and the house and gardens built and renovated by Berenger Sauniere at Rennes-le-Chateau. 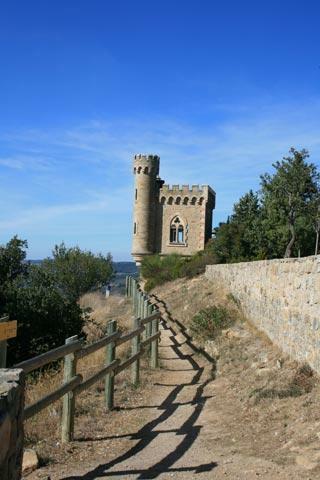 If you are in the Aude to discover legends and history you will certainly want to explore some of the cathar castles, such as the Chateau de Puilaurens to the south and Chateau de Queribus and Chateau de Peyrepertuse to the east. 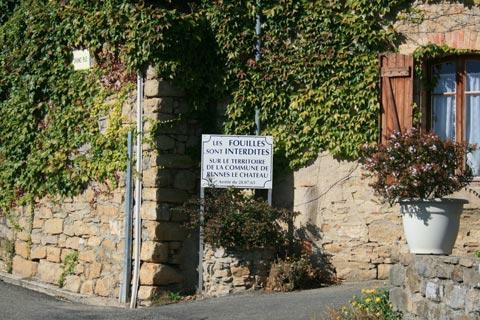 Towns with small but interesting historic centres near Rennes-le-Chateau include Alet-les-Bains and Quillan.